We finally traced down why our customers have not been reliably getting emails sent by our web server. It turns out that this started happening after Exchange 2007 SP1 got installed. Basically email sent from our web server, relayed through our exchange server, was getting blocked by Exchange’s content filtering. This is the exception that was getting thrown by our call to System.Net.Mail.SmtpClient.Send(MailMessage message). 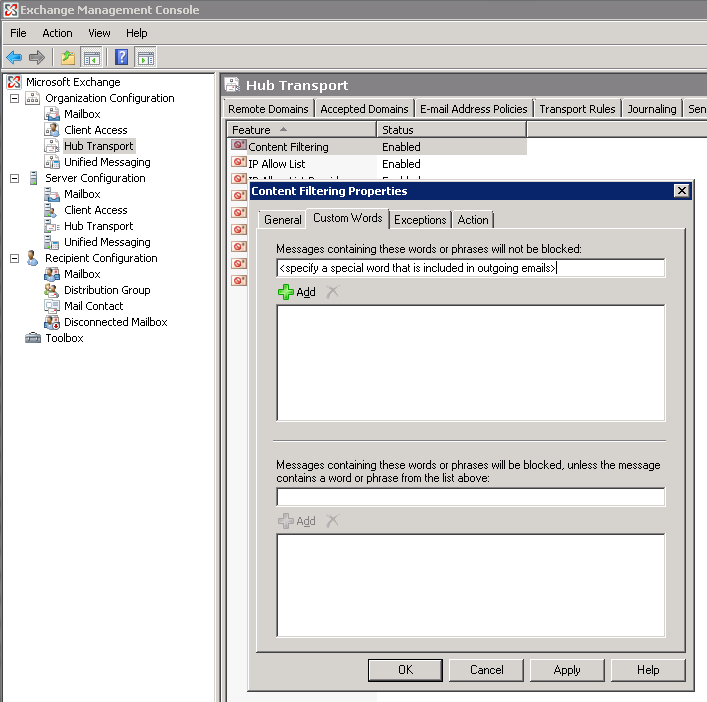 System.Net.Mail.SmtpException: Mailbox unavailable. The server response was: 5.7.1 Message rejected as spam by Content Filtering. Here are the steps we followed to fix the issue. Now our webserver can reliably send emails!